Opening this weekend is the latest Terrence Malick film, Knight of Cups. The story follows a writer named Rick (Christian Bale) on a journey through Los Angeles and Las Vegas as he searches for love and a sense of self. Along the way, he grapples over his relationship with his father (Brian Dennehy), brother (Wes Bentley), and six tempting women: the rebellious Della (Imogen Poots); Elizabeth, a woman he wronged in the past (Natalie Portman); Karen, a spirited and playful stripper (Teresa Palmer); his physician ex-wife, Nancy (Cate Blanchett); a serene model named Helen (Freida Pinto); and the innocent Isabel (Isabel Lucas). For more on the film, watch the trailer. The other day I sat down with Christian Bale for an exclusive video interview. He talked about the unique way Malick likes to work, how you never know how much of your performance will be in the finished film, how he only shot a few days on the Austin music movie Weightless, and a lot more. Check out what he had to say below. How did Terrence Malick sell Bale on the role and the way he works on set. How he only shot a few days on the Austin music movie Weightless. 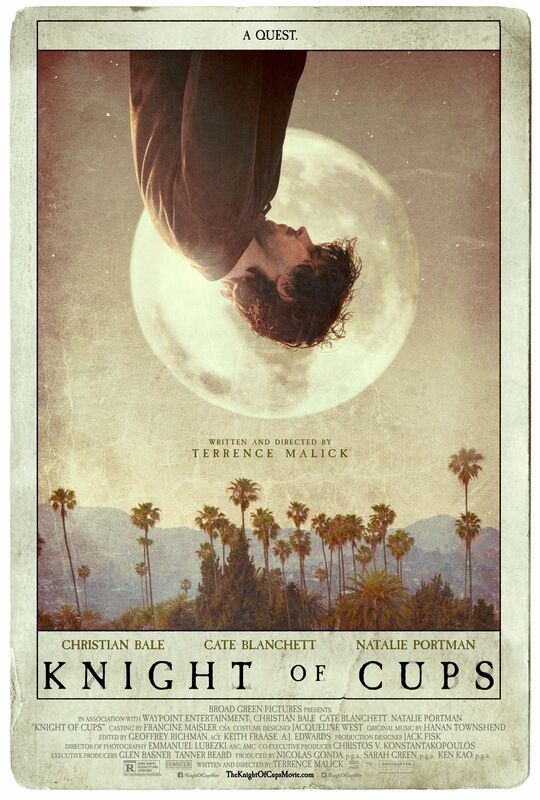 Did he ever feel like he might be shooting Weightless while on the set of Knight of Cups or vice versa? How when working with Malick some of your best work might not end up in the film and you need to be cool with that. Collider Jedi Council: 'Rogue One' Trailer Details Revealed?